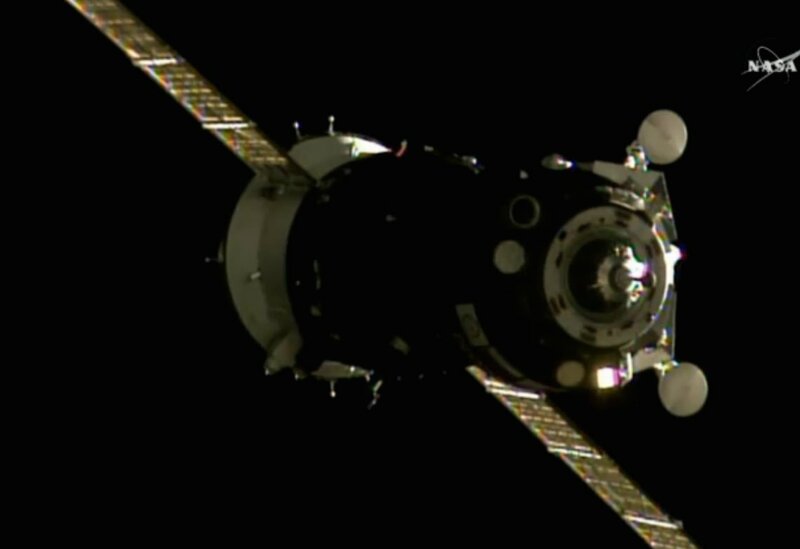 A Russian Soyuz spacecraft featuring a variety of avionics upgrades and other changes to improve reliability and performance docked with the International Space Station early Saturday after a two-day orbital chase, bringing three fresh crew members to the lab complex. With commander Anatoly Ivanishin monitoring a flawless automated approach, flanked on the left by Japanese flight engineer Takuya Onishi and on the right by NASA astronaut Kate Rubins, the Soyuz MS-01 ferry craft eased in for smooth docking at the Earth-facing Rassvet module at 12:06 a.m. EDT (GMT-4). After residual motions damped out, hooks and latches engaged, pulling the spacecraft firmly into the docking mechanism before extensive leak checks to verify a tight seal. Finally, at 2:26 a.m., hatches were opened and a half-hour later, after waiting to establish a video link back to mission control near Moscow, station commander Jeffrey Williams, Oleg Skripochka and Alexey Ovchinin welcomed their new crewmates aboard with hugs and handshakes. 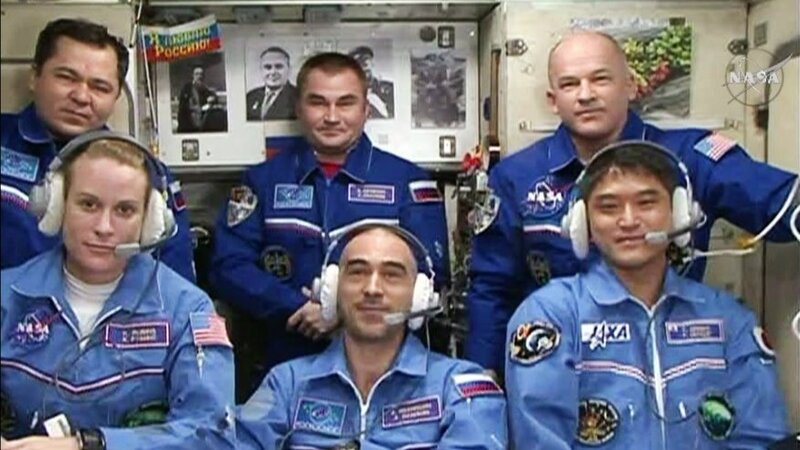 All six crew members then gathered in the Russian Zvezda module for a traditional video conference with mission managers, family and friends. He was referring to the couple’s two dogs, named after a pair of Russian canines that were launched into space in 1960. The Soyuz MS-01 spacecraft blasted off from the Baikonur Cosmodrome in Kazakhstan Wednesday night U.S. time. Soyuz crews normally carry out a four-orbit rendezvous with the station, catching up with the lab and docking about six hours after launch. But the Soyuz MS-01 spacecraft is the first featuring a wide variety of upgrades and Russian mission managers ordered a two-day rendezvous to give engineers time to put the new systems through their paces. An integrated command and telemetry system will permit future Soyuz crews to relay voice, commands and telemetry back to flight controllers over at least 70 percent of each orbit using Russian communications satellites. 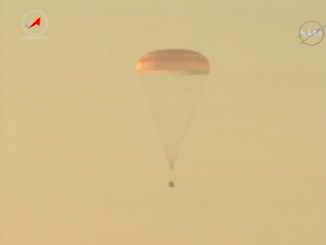 Earlier versions of the Soyuz could only communicate with mission control when flying over Russian ground stations. A new phased-array rendezvous radar allowed the Russians to reduce the number of antennas required to guide the ship in for docking, the propulsion system features a new thruster configuration, an additional battery set was added and the spacecraft’s solar arrays are more efficient. Other improvements include additional shielding to protect against micrometeoroids and a digital television system. 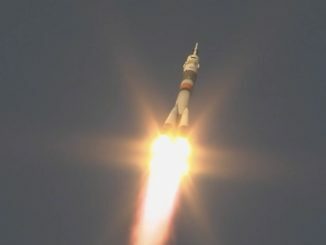 The two most recent Progress supply ships included “all of the modifications comprehensively so that they’ll have two positive flights and positive test results on Progress vehicles, giving them great confidence that the Soyuz will be fine,” Bowman said. Even so, the next MS-series vehicle, scheduled for launch in September, also will take 34 orbits — two days — to reach the station to allow time for additional in-flight testing.